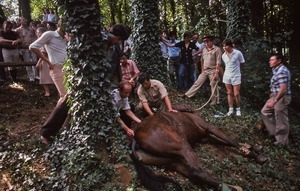 Arnac-Pompadour (France) - A horse is euthanized after an accident during a cross-country race at the national stud farm "Haras de Pompadour." 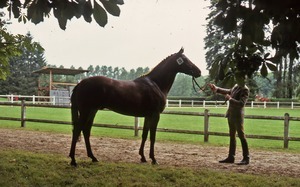 Arnac-Pompadour (France) - Arabian rears during judging at the national stud farm "Haras de Pompadour." 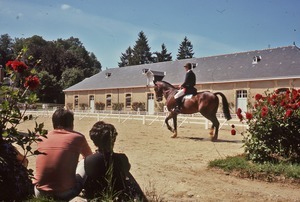 Arnac-Pompadour (France) - Couple watching dressage at the national stud farm "Haras de Pompadour." 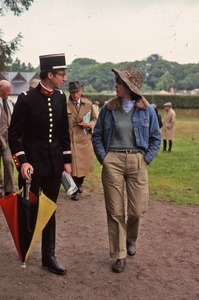 Arnac-Pompadour (France) - Event participants in contrasting dress at the national stud farm "Haras de Pompadour." 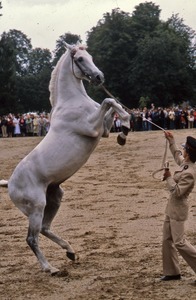 Arnac-Pompadour (France) - Man holds horse in a pose during judging at the national stud farm "Haras de Pompadour." 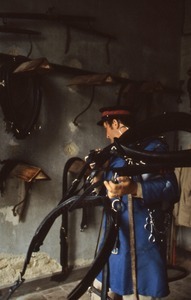 Arnac-Pompadour (France) - Stable worker carrying harness at the national stud farm "Haras de Pompadour." 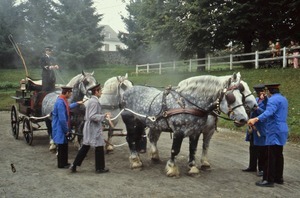 Arnac-Pompadour (France) - Draft horses steaming in harness at the national stud farm "Haras de Pompadour." 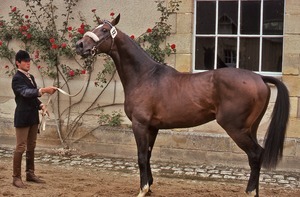 Arnac-Pompadour (France) - #12 contestant poses for judging at the national stud farm "Haras de Pompadour." 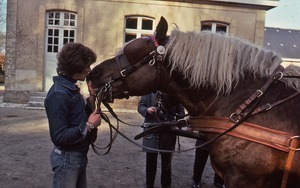 Arnac-Pompadour (France) - Man and horse exchanging a kiss at the national stud farm "Haras de Pompadour." 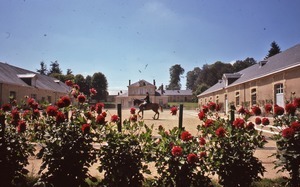 Arnac-Pompadour (France) - Practicing dressage in courtyard at the national stud farm "Haras de Pompadour."